I have a confession to make. For the last ten years of my life, I’ve been obsessed with Masterpiece on PBS, a drama anthology television series best known for presenting adaptations of novels, but it also shows original television dramas. I have a huge ( I mean HUGE!) love for period films and series. I’ve seen numerous adaptations of Charlotte Brontë’s Jane Eyre. I very much enjoyed The Tudors. I cannot wait for the second season of The Borgias. And the list goes on and on…So last year, I was pleasantly surprised to discover Downton Abbey, a British period drama series set during the late Edwardian era (the story begins in 1912), created by Julian Fellowes who also wrote the script for another one of my favorite period movies, Gosford Park. 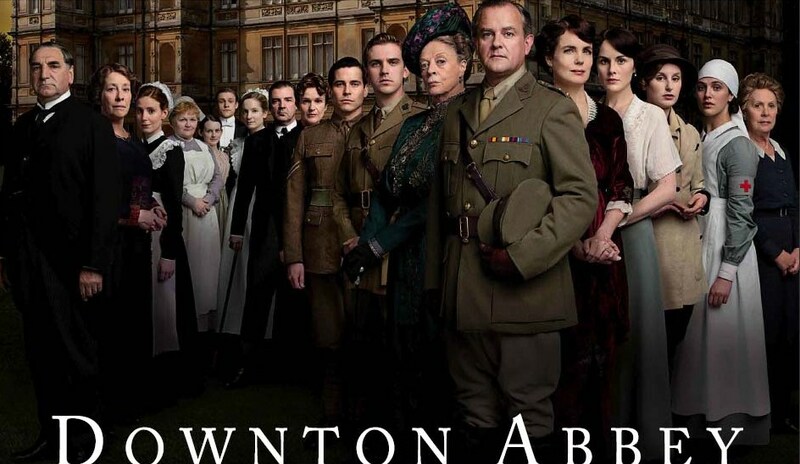 The series follows the aristocratic Crawley family and their servants who reside in the fictional Downton Abbey, the Yorkshire country house of the Earl and Countess of Grantham. The first season covers the period from 1912 to 1914, and the second takes place during World War I. The first season focuses on the need for a male heir to the Grantham estate, and the troubled love life of Lady Mary, the eldest Crawley daughter, as she attempts to find a suitable husband. The second season began on January 8th, 2012 on PBS, and if like me, you enjoy watching costume dramas, I highly recommend this one!